Morocco is the official northern gateway to Africa, beckoning visitors to step into a land steeped in history and culture where mountains meet deserts and the captivating smell of the spice souks is never far away. History and architecture enthusiasts can spend hours losing themselves in a myriad of cobbled passageways that wind through ancient medinas lined with mosaic-covered buildings, cool courtyards, and tinkling fountains. 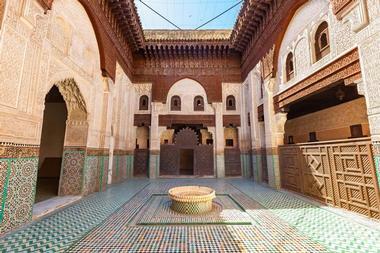 The Agdal Gardens in Marrakech date back to the 12th century and are a must-see attraction in the city. Here you can stroll along serene olive-lined paths to admire the ingenuity of the ancient Almoravids, who channeled water to the orchard gardens from the Ourika Valley by means of an underground network of channels and ditches. The gardens you can explore today consist of several inter-linked walled squares of orchards, olive groves, and plantations surrounding a pool called the Sahraj el-Hana or “Tank of Health.” The gardens (which cover over 400 hectares) form part of the royal palace and are only open to the public twice a week (Fridays and Sundays) when the king is not in residence. 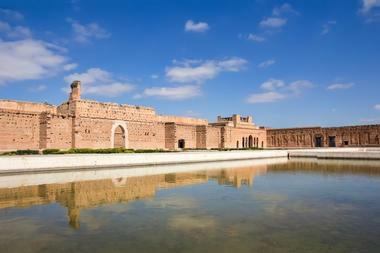 The lovely Bahia Palace is a highlight of any Marrakech tour and is one of the most-visited attractions in Morocco. Art and architecture enthusiasts can study the unique fusion of Islamic and Moroccan architectural styles as they stroll through the impressive palace, which was built around 1859 and is sumptuously decorated from floor to ceiling with mosaics, stuccos, gilded finishes, and inlaid wooden ceilings. 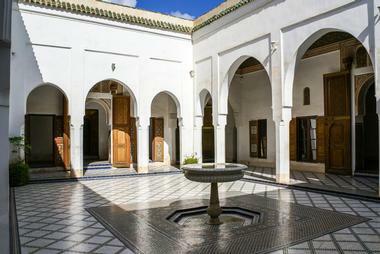 Highlights of the palace include the grand marble-paved courtyard, idyllic walled gardens (riads) fragrant with the scent of oranges and jasmine, and the beautiful painted and tiled interiors. Today the palace is used to entertain visiting dignitaries and part of it is home to the Moroccan Ministry of Cultural Affairs. Marrakech’s extensive Menara Gardens date back to the 12th century, when the gardens were established to allow city dwellers to grow crops. Today the gardens offer locals and visitors a serene respite from the heat and bustle of the city amongst groves of olives, palms, and fruit trees. 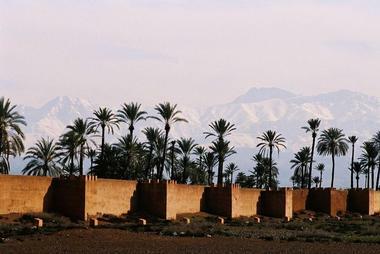 At the heart of the orchards you will find a large artificial lake overlooked by an elegant Saadian pavilion, from which you can sometimes see the snow-capped Atlas Mountains. What really makes these gardens special is that underground channels were built to bring water to the site from the Atlas Mountains over 30km away. The gardens can be easily accessed on foot or by taxi and are open daily – entrance is free. 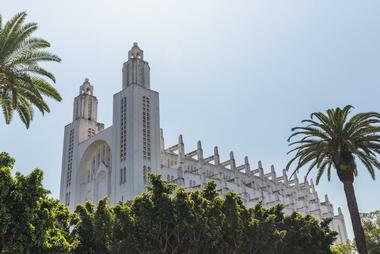 Surrounded by predominantly Muslim architecture, the Cathédrale Sacré Coeur strikes a somewhat discordant note in the architectural landscape of Casablanca. Now sadly neglected and disused, the once elegant and impressive church dates back to 1930, when Morocco was still under the rule of Catholic France. 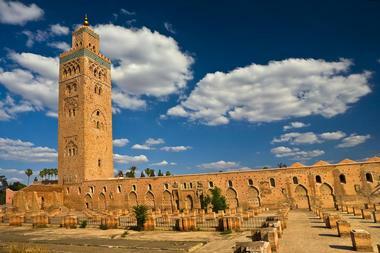 After Morocco gained independence in 1956, the church was used as a school and later as a cultural center. However, the neo-Gothic style architecture, with clear art deco and Moroccan Muslim influences, is noteworthy and anyone interested in architecture should make a point to visit. You can walk up to the top of the two towers (which bear a marked resemblance to Muslim minarets) to enjoy sweeping views of the city and to get a closer look at the unusual external square buttresses. Visitors to Morocco who would like to delve a little deeper into the history and culture of the country will find the small city of Chefchaouen, located in the northern hills of the country, a fascinating add-on to their Morocco itinerary. The town remains largely unchanged since the Middle Ages and offers you the chance to really step back in time and observe and admire traditional Moroccan culture. In the medina you can walk through winding passages surrounded by vibrant blue walls that are testimony to the town’s Spanish and Jewish origins. The town has modern accommodation options, where you can spend the night and take time to sample traditional foods, shop for unique arts and crafts, or simply relax by the pool or take a walk in the mountains. The Chellah (aka Sala or Chella) is a fascinating walled archaeological site incorporating Roman ruins and an Islamic burial mausoleum located just outside the city of Rabat. Although it is now mostly in ruins, the site was once home to a prosperous ancient Roman settlement overlooking a fertile plain close to the Moroccan coastline. As you walk through the serene site you will see a sturdy Roman road, a triumphal arch, a forum, and several assorted buildings in various stages of ruin. 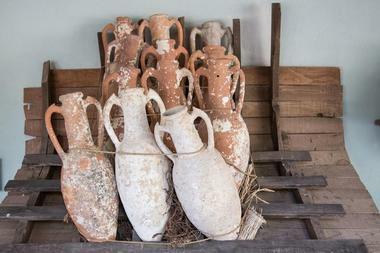 There are also remnants of ancient Roman subterranean plumbing, columns, and marble statues. The Islamic ruins, which date from the 14th century, are far better preserved and are these days curiously home to dozens of nesting storks. You can stroll around on your own or hire a guide at the entrance. El Badi Palace was constructed over a period of 25 years for the Sultan Ahmad al-Mansur during the Saadi dynasty; when it was completed in 1593, it was indeed “incomparable” (which is the translation of el badi). Although large portions of the palace have essentially been reduced to ruins (subsequent dynasties stripped the palace of its former grandeur and used the plundered materials to build their own palaces), the site is still remarkably impressive and is a must-see for all visitors to Marrakesh. The original building is thought to have included over 350 sumptuously decorated rooms, a grand hall, and a central pool that was almost twice Olympic size. Today you can explore subterranean passages and sunken gardens as well as several pavilions/summer houses, stables, and dungeons. 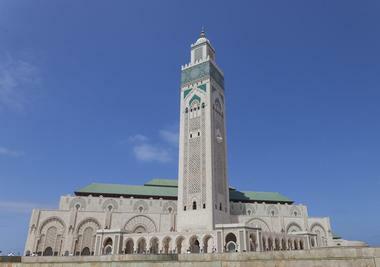 The Hassan II Mosque is one of the foremost landmarks in Casablanca and is essential viewing for all visitors interested in art and architecture. The structure occupies a remarkable location on a platform that extends over the Atlantic Ocean and contains a unique section with a glass floor (off-limits to visitors) so that the faithful can kneel down to pray directly over the ocean. In addition, part of the roof can be retracted so that worshippers can simultaneously contemplate the splendor of God’s sky and ocean, in accordance with Hassan’s wishes. The design and décor of the mosque show strong Moorish influences and no expense was spared in the construction. Although the mosque is open to worshippers all day, non-Muslim visitors can only view the inside of the structure by joining a guided tour. 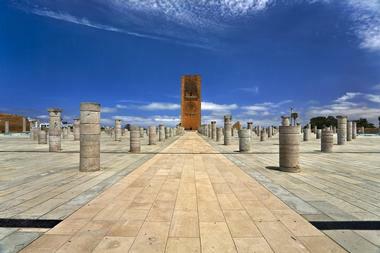 Dominating the skyline of Rabat, the unfinished Hassan Tower bears witness to the larger-than-life ambitions of Sultan Yacoub al Mansour who originally intended the tower to be double its current height. Although much of the Hassan Tower site is in ruins, you should not miss the chance to visit the site and stand in awe of the skill of the artisans who constructed this amazing structure back in 1195. Sultan al Mansour intended the tower to be the minaret of an enormous mosque that would accommodate over 20,000 worshippers, but when he died in 1199 the project was abandoned. Today you can see the unfinished 44m tower and some of the 200 columns, which indicate the impressive scale of the planned mosque. Ifrane National Park is not exactly what one expects to find in bustling Morocco, and is definitely worth a visit for anyone interested in nature observation, hiking, camping, or fishing. The park is situated in the Middle Atlas Mountains south of Fez and protects and showcases one of the largest cedar forests in the world as well as a wide variety of over 200 species of birds, reptiles, sheep, and the endangered Barbary macaque. The monkeys have become very tame and you can buy nuts to feed them. There is a network of hiking trails that will lead you past waterfalls, a volcanic plateau, lakes, forests, and mountains. Berber villages inside the park offer camping and dormitory-style accommodation and there is a hotel in the town of Ifrane. Jemaa el Fna is an enormous city square and market place which has been a symbol of Marrakesh since it was established sometime between the 11th and 14th centuries. Today the square enjoys UNESCO World Heritage Site recognition and you can step back in time and imbibe the age-old cultural traditions of Morocco as practiced by storytellers, musicians, and performers. You can admire the beautiful minaret of the Koutoubia Mosque, which towers over the square, watch a snake charmer, enjoy mint tea at one of the many garden terraces that surround the square, or lose yourself in the Marrakesh souk or the myriad cobbled streets that wander through the medina (old town). 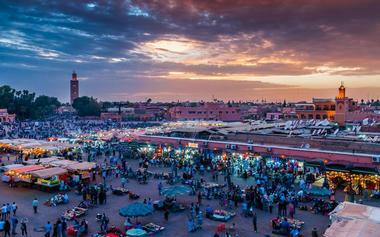 As the sun sets the square is filled with food vendors offering an authentic taste of Morocco. 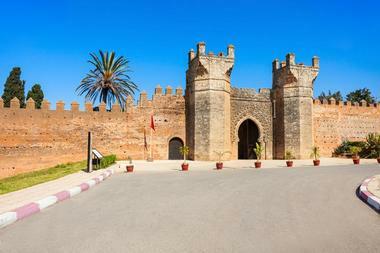 The imposing Kasbah of the Udayas has been standing guard over the city of Rabat for hundreds of years and beckons visitors to step inside and learn about centuries of Moroccan culture and history. 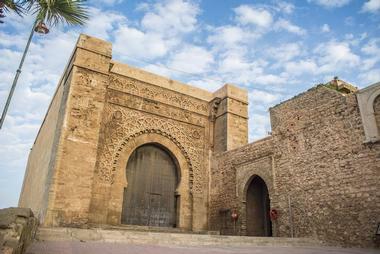 The kasbah is surrounded by intimidating walls that are over 8 meters in height and between 2 and 3 meters thick and boasts a massive gateway that incorporates two richly decorated towers. If the walls could speak, they would tell fascinating tales of war and piracy spanning several centuries. 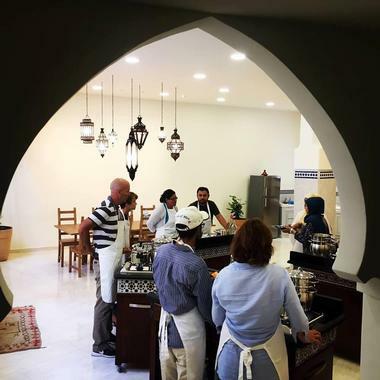 Today you can step through the imposing doorway to explore narrow winding streets lined with shops, courtyards, and gardens, see Rabat’s oldest mosque and the Museum of Traditional Arts, or admire the wonderful views as you enjoy a cup of sweet mint tea. The Koutoubia Mosque or, to be more specific, the magnificent minaret of the Koutoubia Mosque dominates the skyline of Marrakesh and is a popular attraction in the city. Unfortunately, the interior of the mosque is off-limits to non-Muslims, but everyone is welcome to admire the exterior of Marrakesh’s largest mosque and the elaborate architecture of the minaret, which dates back to 1150 and is the oldest remaining Almohad minaret in the world. 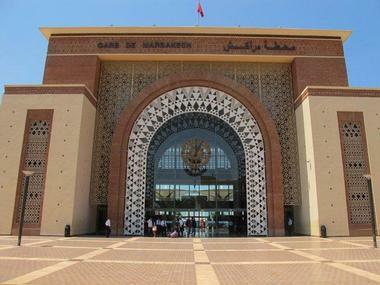 The imposing structure stands over 70 meters tall and the decorative design incorporates a band of ceramic tiles, pointed battlements, and other typical Moroccan decorative motifs. After viewing the mosque, you can explore the many attractions of the adjoining Jemaa el Fna, the city’s famous market place. 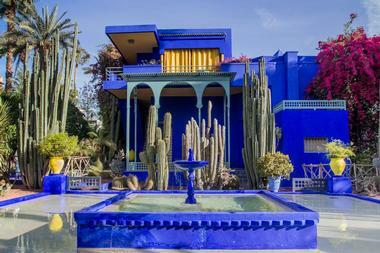 Your visit to Marrakech would be incomplete without spending an hour or two enjoying the beauty and serenity of the Majorelle Gardens, which were established over a period of 40 years by the acclaimed French artist Jacque Majorelle. After the artist’s death, the gardens fell into disrepair until they were bought and restored to their former glory by French designer Yves Saint Laurent. Today the gardens include shady lanes of exotic trees, colorful flowers, cascading streams, and quiet reflective pools that provide locals and visitors (including hundreds of birds) with an oasis of tranquility close to the heart of the city. 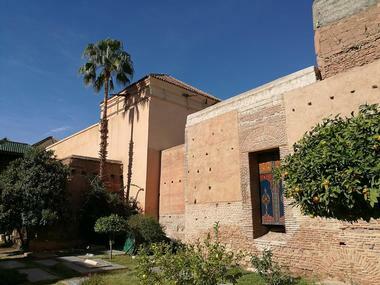 Besides enjoying the gardens, you can also learn all about the fascinating culture of Morocco’s Berber population at the Berber Museum and visit the gift shop. The Archaeology Museum in Rabat was founded in 1934 and is proudly home to a valuable collection of statuary, relics and artifacts spanning hundreds of years, and is a must-see attraction for anyone interested in ancient history and the progression of mankind. As you make your way through the prehistoric section of the museum you will be able to see human remains dating back to the Paleolithic and Neolithic (4000BC) periods. These exhibits are followed by the Islamic section of the museum which showcases religious treasures excavated in XIII and IX century archaeological sites. However, the Roman and Pre-Roman collection is perhaps the most interesting and includes some excellent bronzes and marble busts. Sealed up and hidden from sight for several centuries, the magnificent Saadian Tombs have retained much of their original splendor and are a must-see attraction in Marrakech. The earliest tomb in the complex dates back to 1557 and the buildings were constructed between 1578 and 1603. After the tombs were sealed up around 1672 they lay undisturbed until 1917 when they were rediscovered and fully restored. Today you can see over 66 tombs laid out in the main two mausoleums and a further 100 brilliantly tiled tombs in the gardens. Built to be the final resting place of the Saadian royalty, the mausoleums are richly decorated with fine carving and beautiful zellij tiles, reminiscent of the décor found in the Alhambra in Granada, which was built 200 years earlier. If your Moroccan holiday includes a visit to Marrakech, you can seize the opportunity to make life-long memories on a unique hot-air balloon/camel riding adventure against the backdrop of the Atlas Mountains. Your 5-hour adventure begins at dawn (5:00am) when you will arrive at the balloon launch site, see how a hot-air balloon is prepared for take-off, and learn all about the safely aspects. Once airborne you will drift silently over the awakening landscape for about an hour, at the whim of the breeze. Back on terra firma, you will be treated to a traditional breakfast in a Bedouin tent overlooking the Atlas Mountains and then go on a camel ride through a genuine palm oasis. Finally, you will be returned to your lodgings by Land Rover. One of the best ways to immerse yourself in a foreign culture is to experience the tastes and aromas at first hand. 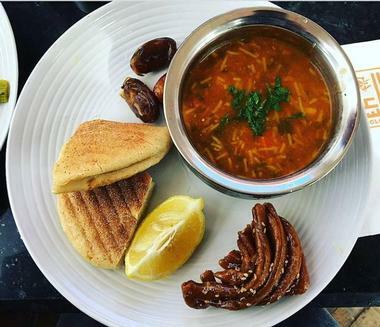 However, many visitors never get to taste authentic Moroccan cuisine because they are unsure of what to order or only visit the inevitable tourist-trap eateries that dominate the popular tourist areas. Marrakech Food Tours is determined to give visitors an insight into authentic Moroccan family-style food and has carefully sourced restaurants that offer the real thing. Your guided 3-hour walk will take you through the streets and souks of Marrakech, learning about culture, history, and traditional Moroccan cooking methods and tasting a variety of authentic dishes including salads, tagine, couscous, slow-roasted lamb, sweet pastries, and more. Tour options include breakfast tours, evening tours, and gourmet tours. Ancient, exotic, and magical, the Moroccan city of Marrakech welcomes visitors to come and discover its history, architecture, culture, and traditions. Although it is perfectly possible to explore the city on your own, you will definitely get a more in-depth understanding of the city and its people on a Marrakech Guided Tour. The company goes the extra mile by offering personalized private tours and day trips that are thoughtfully compiled to suit your interests. Whether you love history and architecture, culture or shopping, Marrakech Guided Tours will put together the perfect half or full-day itinerary to suit you. Options include exploring all the cultural and historical sites of the city or venturing further afield to see the snow-covered Atlas Mountains or the fishing town of Essaouira on the coast. If you are the kind of visitor who prefers to explore off the beaten track and get a more intimate glimpse of your destination, Marrakech Urban Adventures is probably just what you are looking for. The company offers tours of Marrakech led by enthusiastic and knowledgeable local tour guides who know all the little nooks and crannies of the city. They know the best places to eat, the best souks to find a bargain, and the friendliest locals, and are passionate about sharing their knowledge with visitors. Some of the tours on offer include the Medina, Palaces, and Tombs Tour (for history lovers), the Taste of Marrakech Tour (for first-time visitors), and the Shopping Secrets of the Medina Tour (for ardent bargain hunters). 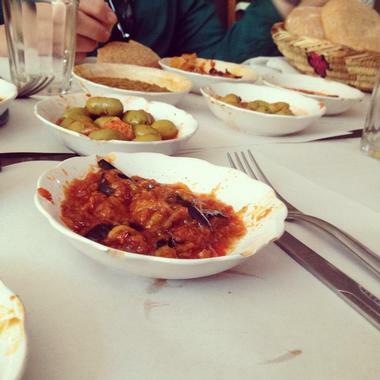 You can also opt to join the Tagine Cookery Tour to learn how to make Morocco’s national dish. Based in exotic Marrakech, Morocco Planet is a tour company offering personalized private and group tours all around the country. Whether you yearn for the solitude of the desert or love the bustle of the souks, Morocco Planet can put together the ideal itinerary based on your personal preferences. You can go on a private day trip around the vibrant cities or opt for an extended grand tour of the country, which can include diverse outdoor activities. 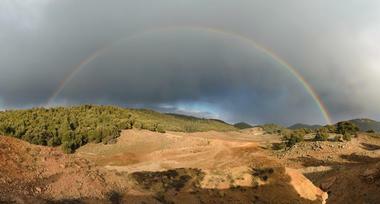 You can try camel trekking, golf, hiking the Atlas Mountains, desert mountain biking, or even desert yoga. 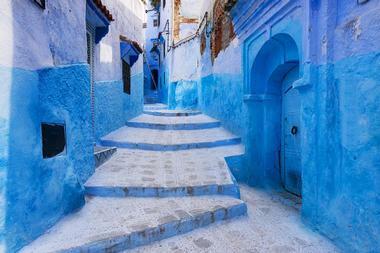 In addition, you can learn how to cook traditional Moroccan cuisine or even arrange to have a Berber-style wedding. 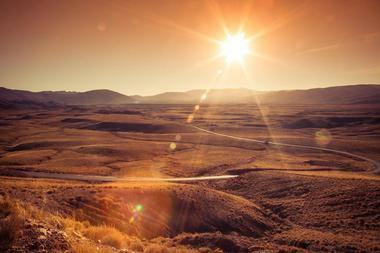 Extended tours range from a few days to 17-day extravaganzas. One of the best ways to learn all about the life and culture of Morocco is to join a guided tour, and 4X4 Camel offers you various Morocco Discovery Tours out of Marrakech in an air-conditioned 4X4 Land Cruiser. 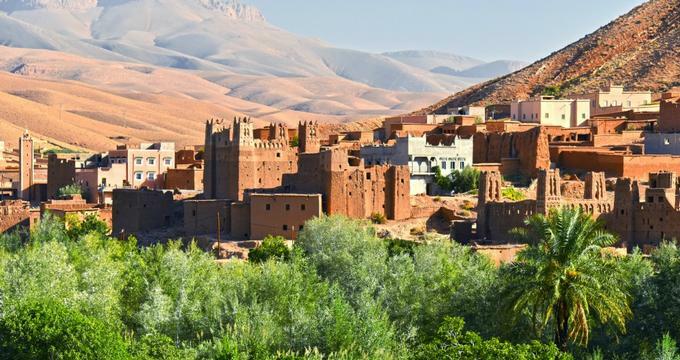 The Berber Villages Tour will give you an excellent overview of the rugged lifestyle of the original Berber settlers and includes lunch in an authentic Berber village. You will also have the chance to visit an Argon Oil factory to learn about the health benefits of this uniquely Moroccan nut. You could also head off to the Atlas Mountains or out of the desert to visit the coastal town of Essaouira, which has a distinctly Portuguese atmosphere as well as cool sea breezes. Who would imagine that along with camel trains crossing the desert, bustling market places, and spicy exotic food, Morocco also offers adventurous visitors the chance to go rafting in the High Atlas Mountains. 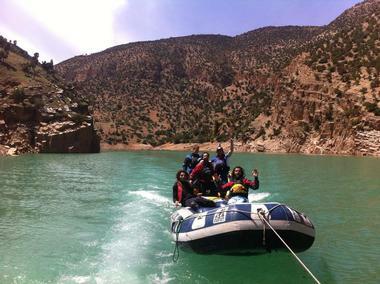 Berber Rafting Adventures specialize in a variety of rafting adventures suitable for both families and adrenalin junkies. You can choose from a half-day gentle family “float” along the Ahansal River, passing through some spectacular canyon scenery, or opt for the more vigorous Red Canyon Day Trip along a 20-mile stretch of Moroccan wilderness. For the really adventurous visitor, Berber Rafting also arranges multi-day whitewater rafting experiences on the Morocco Grand Canyon Tour, which includes overnight accommodation in a genuine Bedouin tent. Blue Door Cuisine offers you the chance to take home something truly unique to remind yourself of your visit to Morocco. Most travelers will agree that sampling the exotic local flavors of your destination is an important feature of your vacation and Blue Door Cuisine offers a wide variety of cookery classes that will give you all the knowledge you need to amaze your friends and family when you return home. You can choose from a simple lesson on how to make iconic mint tea or take things a few steps further as you learn how to roll couscous, bake Moroccan bread, and make an authentic Moroccan tagine. Some of the classes include a guided visit to the local market and a traditional couscous dinner.